As President of Bozzuto Construction Company, Mark Weisner leads the strategic direction of the organization. Since joining the Bozzuto team in 2005, Mark has been instrumental in developing business with new and repeat clients. His expert insight and recommendations on construction planning, scheduling, budgeting, and technology have greatly contributed to Bozzuto Construction’s expansion into new product types, geographic markets, and delivery methods—helping grow the company’s project portfolio to more than $4 billion. 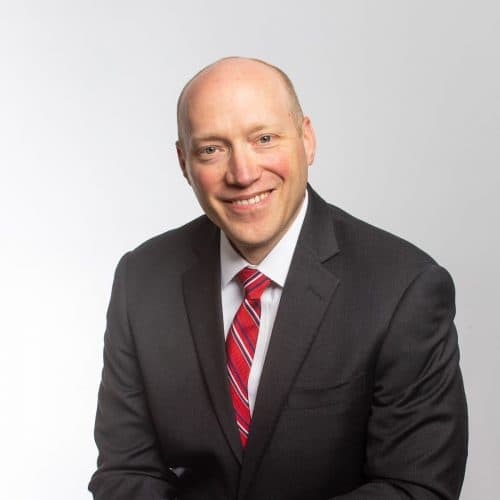 Prior to joining Bozzuto, Mark worked for Clark Construction as a MEP Coordinator, Superintendent, and as a Project Manager; playing an integral role in all aspects of the construction process across a broad range of project types. Mark holds a Bachelor of Science Degree in Mechanical Engineering from The Pennsylvania State University.